What if you could raise the dead? Or live forever? These are things that humans have pined after for millennia. Soon, however, quantum archeology may make immortality a reality. Imagine if you could bring back all your loved ones who’ve departed this life. Based on the laws of quantum mechanics, using 3D-Bioprinting technology, we could resurrect the dead and give a whole new meaning to the notion of “afterlife”. Pretty much every religion dangles in front of its believers the promise of a blissful immortality and a trouble-free life. 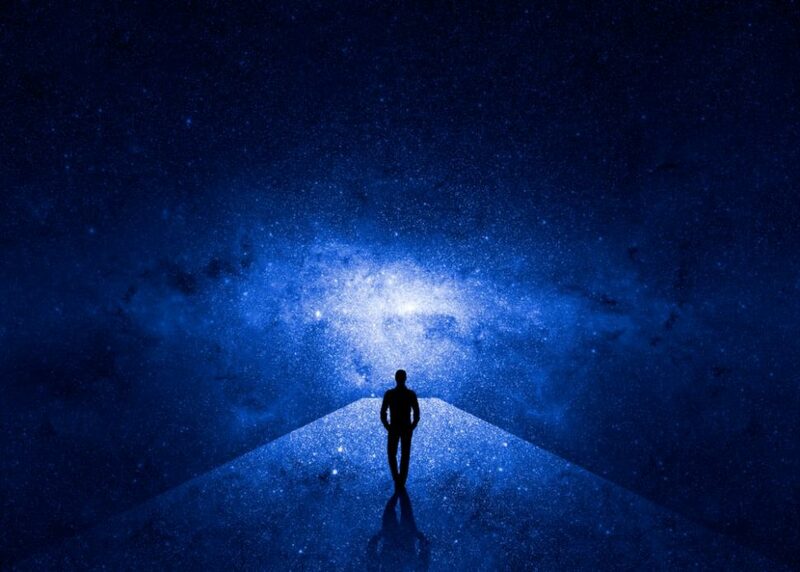 However, you can only access this immortality in the “afterlife”, and you have to work for it by adhering to the religious precepts in this life. Now, science is beginning to tread into this territory. We got to the point where sci-fi plot devices such as youth free from diseases and aging, resurrection, and immortality, are becoming more and more approachable scientifically-speaking. With the research and resources becoming available, it’s becoming more of a “when” rather than “how” this will happen. The idea of technological resurrection and immortality can be traced back to the 19th century, to Nikolai Fyodorovich Fedorov, a Russian futurist, philosopher, and transhumanism pioneer. For an Orthodox Christian thinker like Fedorov (1828–1903), utopia, universal salvation, heaven on earth, and recreation were the key themes he worked on. Fedorov, who greatly influenced the Russian cosmism movement, believed that science could enable humans to defeat death, gain physical immortality, and resurrect the dead. With advances in genomics, genetic engineering, neurobiology, regenerative medicine, and other cutting-edge technologies, death is losing some of its fatal inevitability. The biomedical gerontologist and anti-aging guru Aubrey de Grey, who works on a roadmap to overcome aging, thinks the first human to live to 1,000 years and more has already been born. Transhumanism is the belief that humans can overcome biological death by merging with machines to lead an eternal cyborg life. Discoveries, developments, and tests of quantum physics’ principles lead some people to think that a life after death is possible. The proponents of Biocentrism believe that the Universe and consciousness are eternal. The ideas of Fedorov, whose writings were gathered in a posthumous book “The Philosophy of the Common Task”, went into oblivion for decades but never really died. The “common task” hints at the universality of resurrection in the sense that everyone should aspire to be resurrected, but everyone should also have to work toward that resurrection. Keeping up with Fedorov’s principle, some 21st-century scientists are speaking of technological resuscitation (albeit applying current knowledge) and using more updated terminology that wasn’t available when Fedorov was around. Scientific resurrection is now making a comeback repackaged into Quantum Archeology. Theoretically, the laws of quantum physics go even beyond that and suggest that resurrecting past life is also possible. We’re talking about quantum archeology, which gives us access to all information there is, including that which make up life itself. Theoretical physicist Leonard Susskind had a scientific battle with Stephen Hawking over the “Information Paradox” or whether Black Holes erase information completely. Susskind’s answer that settled the information dilemma debate was built on the holographic principle and String theory. In his book, Black Hole War: My Battle with Stephen Hawking to Make the World Safe for Quantum Mechanics, Susskind argued that information is indestructible. If not even Black Holes can destroy information, we don’t know what can. Quantum archeology is not a time travel gimmick, though we can’t rule that out from the quantum world, nor it’s the exploration of vestiges from the past like traditional archeology. Roughly speaking, quantum archeology considers life as a series of states that never really vanish but instead are altered. In short, it could be possible to access this information to reverse engineer and rebuild an object or individual based on its current state. From our bodies to the unfathomable depths of the Observable Universe, it’s a matter of particle arrangements that if we can replicate we’ll be able to do anything. With the anticipated technological developments in the future, especially quantum computing and AI, mapping these states into one gigantic database would be theoretically possible. Speaking of that, exactly how much hard-disk space would allow us to archive all the states of life and resurrect all the dead that have ever lived? Computer scientist Mike Perry estimates that a nine-square-mile-wide memory bank would suffice. This is huge, but doable. It doesn’t have to be all in the same location. A network of server farms dispersed around the world would do the trick. Accessing information is one thing, recreating it is another story for which we need specific tools. For us, mortal humans, we, our personality traits included, are the sum of our neurons. Basically, we are “brains” encased in organic carcasses that are designed for one mission, survival. Would we make brains and just hope that somehow “consciousness” would emerge from the neural intricacies? And if it does happen, would it be the “same” consciousness? It’s worth a try. Recreating organic matter that gives us shape and allows us to function would be the easier part of the job in this context. 3D-Bioprinting is 3D-printing but for organic tissues and organs, which is already an existing and growing market. In a report, Grand View Research forecasts the global 3D bioprinting market to hit $2.6 billion by 2024. Researchers from the University of Newcastle (UK) announced last month they have succeeded in 3D-printing a human eye cornea using a stem cells-based bio-ink. In another very recent development, Biolife4D, a biotech startup, reported of the first 3D bio-printed human heart tissue. The Chicago-based company is many months ahead of its schedule toward its goal of 3D-printing full human hearts. In the near future, 3D bioprinting will be able to print out full viable organs and living tissues, and eventually perhaps even whole functional bodies, complete with brains and all. In short, quantum archeology could bring us immortality, but there are also plenty of other alternatives that could get us there just as quickly. The world is already getting overpopulated by the living, what would happen if we resurrect all the dead at once?